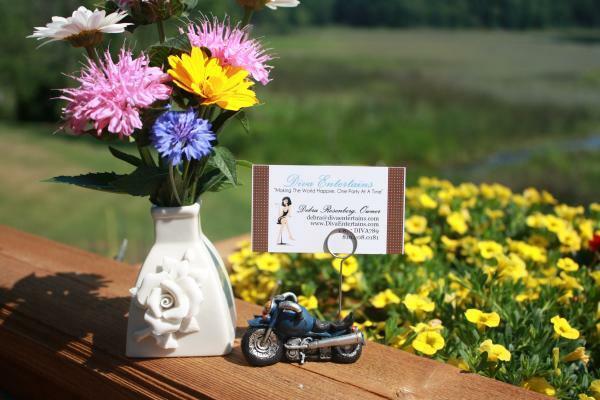 A top seller for Diva Entertains, our motorcycle place cards holders are beyond terrific! Hand painted and measuring nearly 3 inches in length, 1 1/2 inches to the top of the motorcycle and 3 inches to the top of the card holder. They have a solid feel; we know your guests are going to be impressed!